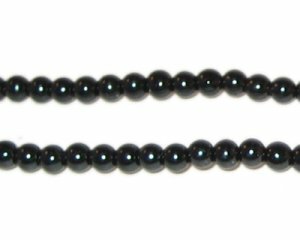 These are 4mm Round Black Glass Pearl Beads on a 16" string, approx. 113 beads. I am very impressed with my first order. The only thing I would say is that the beads were not bagged. I would order from dollarbead.com again.